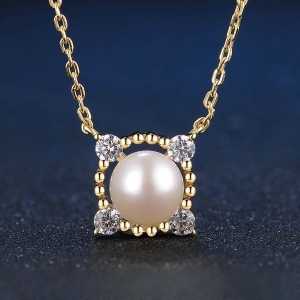 Natural Pearl Clavicular Chain Necklace 18"
Pearls may have been treated to improve their appearance or durability and may require special care.The natural properties and process of pearl formation define the unique beauty of pearl. 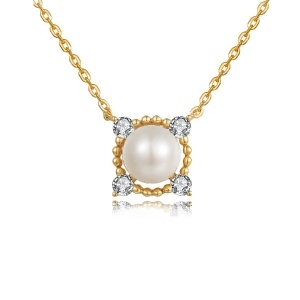 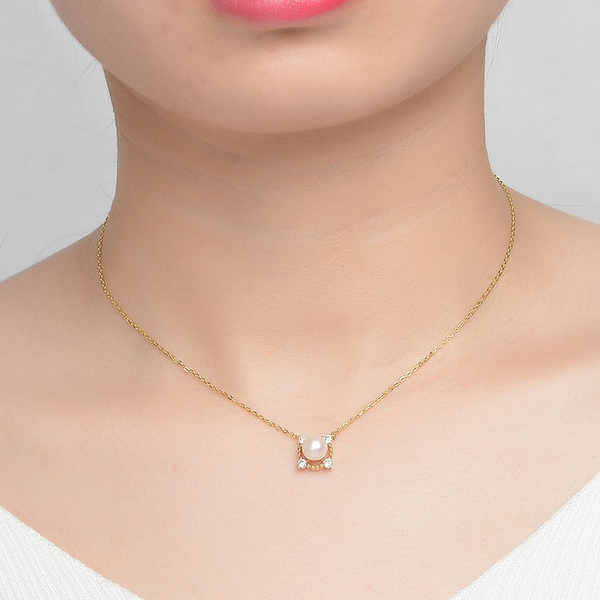 This exclusive personalized natural white pearl clavicular chain necklace express the intensely romantic moment. 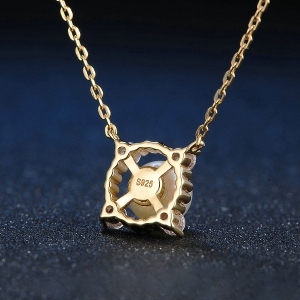 The most meaningful part of this personalized pearl pendant necklace is that it put 4 shining stone arround this pearl, it is one-of-a-kind statement of your loving devotion.